Allan Cato has sent us the latest edition of the newsletter (attached: http://bit.ly/2qfqDDJ). 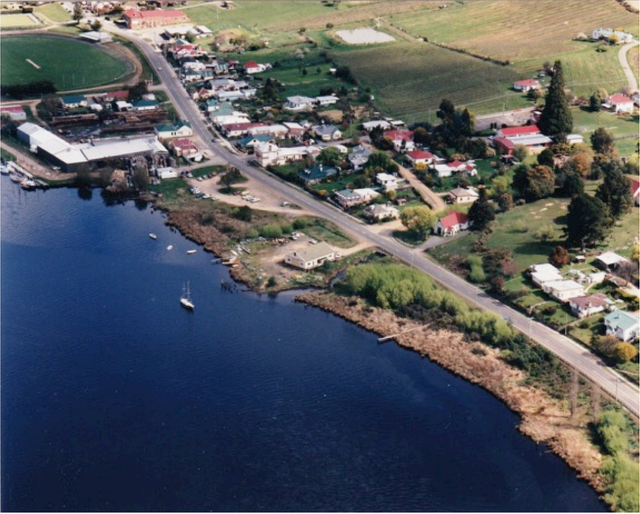 It includes the great aerial shot of the north Franklin foreshore taken in 1995 shown below, from Ruth and John Young. There is no LBT, no marina and only a smattering of boats, but there is a wharf in front of the evaporator sheds.